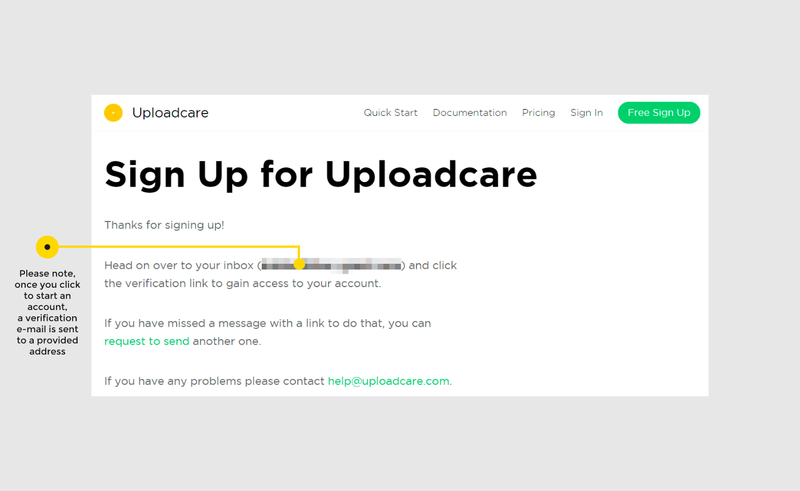 This article extends our video tutorial about registering with Uploadcare. We'll walk you through the Uploadcare setup steps from signing up to a simple integration. Head over to our website and click 'sign up for free' to be forwarded to the next page where you can type in your credentials. There's also a menu at the upper right. It holds links to our quick start, pricing plans, and documentation. A chat icon at the lower right can help you access our support. Usually, we reply within 24-hour term while most of our tickets get answered within 2 hours.Once you click the signup button you're forwarded to the next page where you can start a new account. 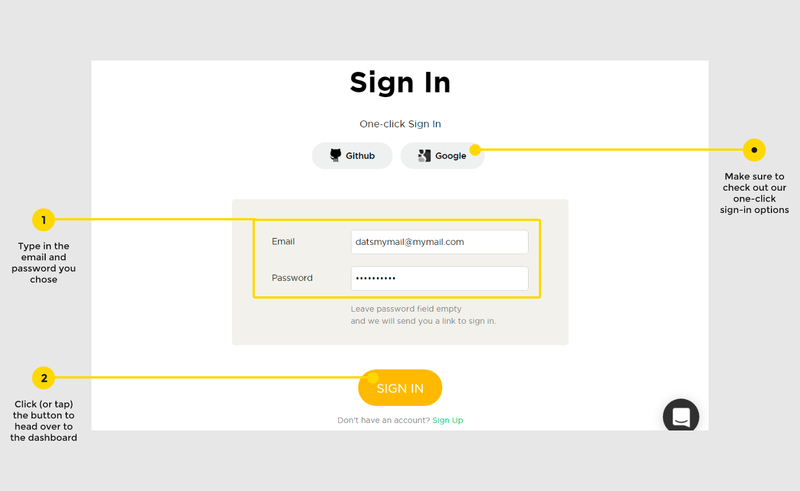 Type in your email and choose a password. Hit 'start an account' and you're almost there. 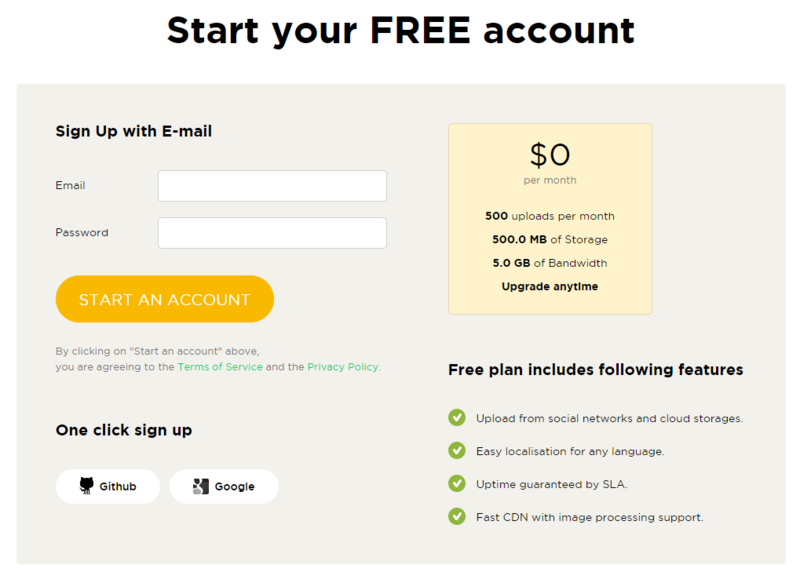 Our signup is free and we're also listing some of the cool features available on Free plan. Apart from different upload sources, cloud storage, and multiple locales, we offer CDN file delivery with on-the-fly image transformation support. The transformations are free too, we aren't charging for those or placing any limit to the number of transformations. Next page holds the notice that you've been just signed up. It is crucial to verify your freshly created Uploadcare account using email. We do it to know there's an actual person behind the provided email address. Navigate to your email inbox and check for our message. It might happen to get into your 'spam' or 'promotions' folder. Don't worry if you haven't received the message — there could be a typo or something. On top of that, our mail servers perform additional email reachability checks, false negatives may happen. Try and request another verification email and if it's a no-go — try going through the first step once more or hit us up. Once the verification email makes it to your inbox, select it and click the verification link. The link we send is valid for 7 days. You click the link and get to our sign in page. The usual procedure is to type in the chosen credentials and hit 'sign in'. Another option is the one-click sign in with either your GitHub or Google account. This way you won't have to think out another password. Actually, you're able to connect your GitHub or Google account to Uploadcare anytime through account settings. Clicking the 'sign in' button brings you to the Uploadcare dashboard. Simply put, our dashboard helps you create and manage projects. 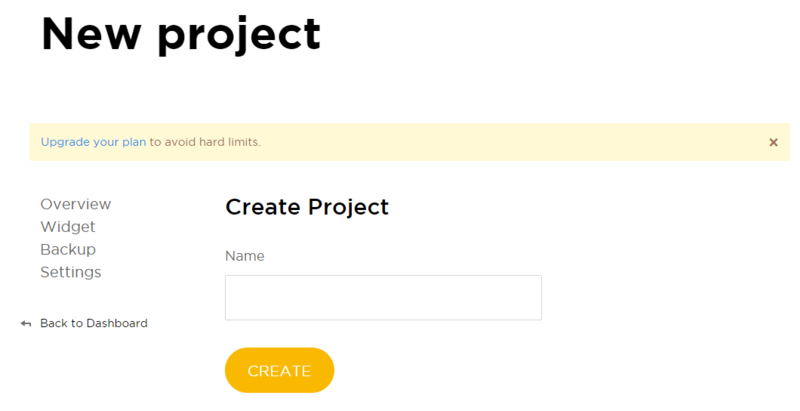 Adding a project is done by clicking the 'create a project button'. Also, we use the dashboard to provide you with hints and other useful info.Creating a project is as simple as typing in its name and hitting 'create'. Projects are there to hold your files, settings, and keys. This means you can have multiple projects with different settings acting like separate environments (e.g. production and staging). Once you're inside a project, we show how many files it holds and how much storage is used. Another useful thing is your project menu. Click through it to get a quick view on which options you're up to with Uploadcare. Important. Your project keys are held in its settings. The 'keys' section in left menu lets you access the keys for your project. While public_key is visible, secret_key can be accessed by clicking the 'Show key' link. Also, secret keys can be added or deleted. This can be used as a security measure when it comes to changing outdated or compromised passwords. Check out the REST API section of our docs to learn more about how secret keys are used with Uploadcare. 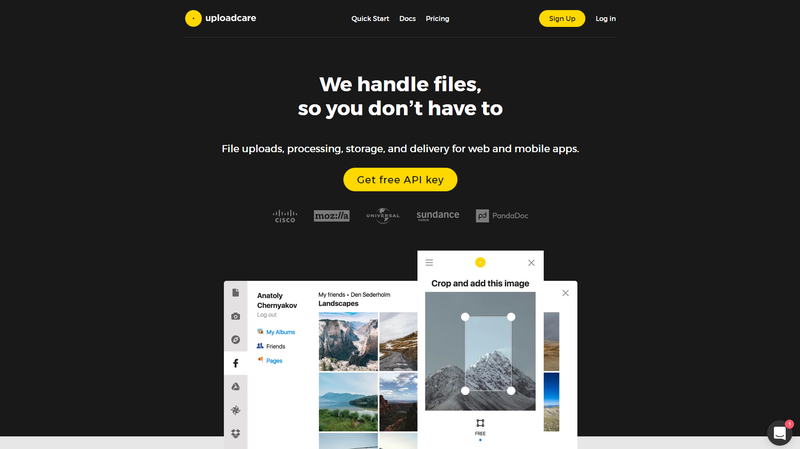 To start with, a simple yet powerful and highly customizable tool for uploads is Uploadcare Widget. Go to the 'widget' item of your project's menu to get a sneak peek on integrating with Uploadcare. 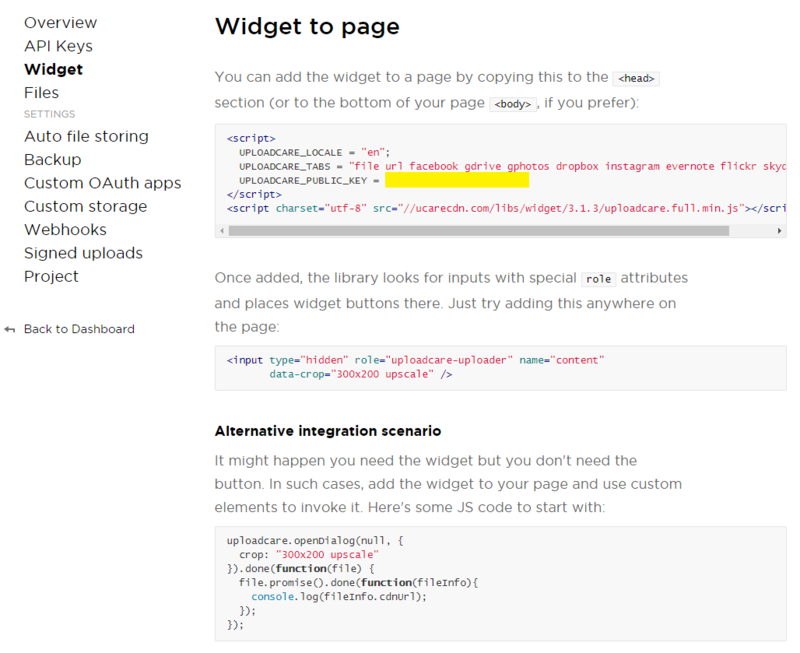 This page lets you configure the widget and holds some introductory code to help you better understand how simple yet handy uploads workflow can be, or become. You can also note you public_key is used in the example script. The key is publicly available and helps Uploadcare identify the project and account uploads will go to. We hope this article helped you to better understand what Uploadcare is and how to register with us. 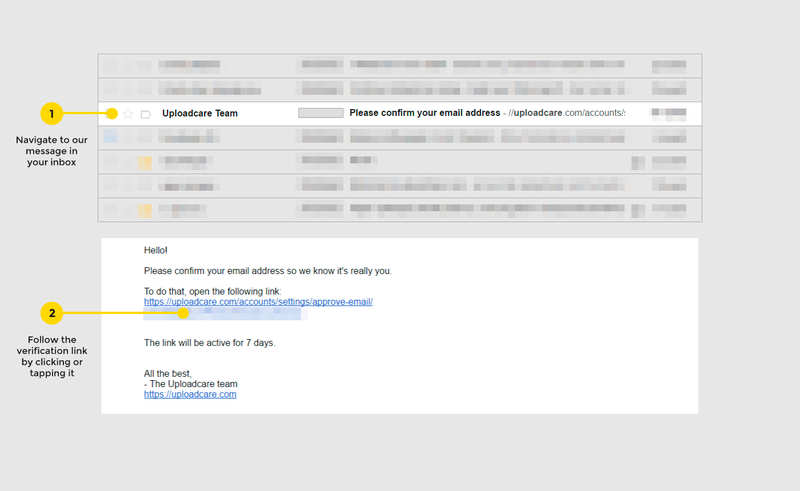 We've now guided you to the point where your users can start their uploads to your website with Uploadcare Widget. There are many integration options available to power your website or app with Uploadcare. Check out our docs or contact our awesome support.